Top Financial Advisors in the U.K.
► Top Accounting Firms the U.K. This review is Part III of our groundbreaking financial planning software review series. 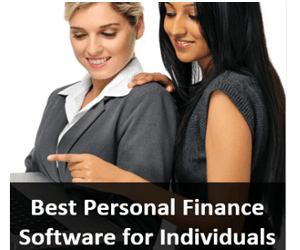 Here is Part I (Best 5 Personal Financial Software) and Part II (Top Budget Planning Software). Click on the links above to quickly review the reports above, as they cover pertinent budgeting information and financial tools that might be useful when developing a well-rounded financial planning strategy. Since launching AdvisoryHQ, we’ve received a tremendous amount of queries and emails from users seeking our input on various financial planning software. In order to satisfy the queries that we have been receiving, we decided to perform a detailed research analysis and publish the findings of our reviews. Based on the extensive level of due diligence and research analysis that we performed, we have identified the top personal accounting tools and best budgeting software below. What methodology does AdvisoryHQ use in selecting and finalizing the credit cards, financial products, firms, services, and products that are ranked on its various top-rated lists? 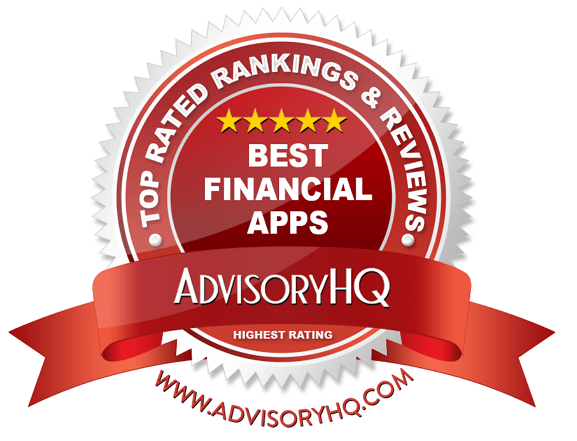 Please click on “AdvisoryHQ’s Ranking Methodologies” for a detailed review of AdvisoryHQ’s selection methodologies for ranking top-rated credit cards, financial accounts, firms, products, and services. Below, please find a detailed review of each budgeting software on our list of best financial apps. We have highlighted some of the factors that allowed these financial tools to score so high in our selection ranking. 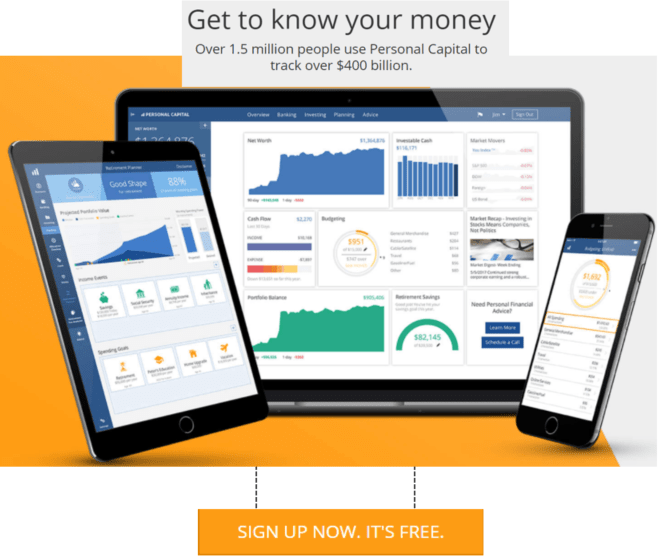 With more than 1.3 million users, Personal Capital is a formidable force amonst the best budgeting software providers. 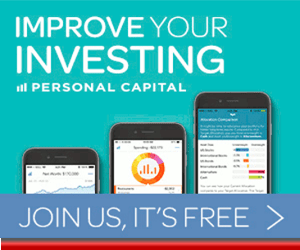 Not only is the Personal Capital app free to use, but it offers high value for those who want to work toward long-term financial goals. Below are a few reasons why Personal Capital is ranked and reviewed as a best budgeting software to consider in 2017. Understanding your net worth is an important part of managing personal finances, and the best financial apps will strive to provide a comprehensive overview. What makes the Personal Capital app into the best budget app is that this comprehensive dashboard can be accessed at any time, from any device. The Personal Capital app works hard to organize your personal finances, and it also works hard to save you money wherever possible. The Fee Analyzer feature hones in on mutual funds, investments, and retirement accounts. These types of savings accounts often come with hidden broker fees, potentially costing investors thousands of dollars from their savings. Personal Capital strives to create transparency in its money management app, highlighting broker fees to help users make informed decisions about their financial future. To become a top money management app, the best financial planning software will also need to be a best budget app. Tracking your spending and saving can be challenging on your own, but using the best budgeting software can make the process much simpler. For those who are looking for a thorough way to monitor and control saving and spending, the Personal Capital app is a best budget app to consider. 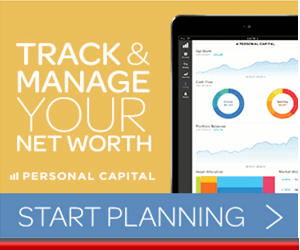 Assess Your Retirement Readiness With Personal Capital’s Free Financial Tools! For those who are looking for straightforward, simple accounting software, CountAbout is a great money management app to consider. Although CountAbout is a relatively new budgeting software, it has quickly risen to become one of the best financial apps right alongside giant financial tools like Mint and Quicken. Available on both desktop and mobile formats, this personal accounting software features seamless integration, automatic download, and versatile syncing. Below are a few reasons why CountAbout is ranked and reviewed as a best budgeting software to consider in 2017. CountAbout provides accounting tools that make importing financial data smooth and efficient. In fact, CountAbout is the only money management app that allows users to import data from personal accounting software giants Mint and Quicken. Instead of losing financial data switching between accounting tools, CountAbout is a simple accounting software that allows for data to be saved through a convenient import process. As a best budget app, CountAbout is also a best budgeting software for those who have multiple financial accounts. Users can easily sync checking and savings account with the money management app, making it easy to monitor your money. CountAbout supports more than 12,500 financial institutions, so users shouldn’t need to worry about finding their bank on the list. Investment balances, like 401k savings, can also be downloaded and integrated into this simple accounting software, making CountAbout a best money management app to consider. As with many of the best budgeting software options, CountAbout allows users to customize their budgeting software. This money management app allows users to add, delete, and rename categories to suit their specific financial needs. CountAbout also provides running register balances, an enhanced feature of the best financial apps. This takes away the need for manually balancing a checkbook. As a best budget app that focuses on providing as much detailed information as possible, CountAbout is one of the best financial apps to consider in 2017. This isn’t the first time that we’ve ranked Mint amongst the Best Personal Finance Software, and it certainly won’t be the last. Aside from being a free money management app, Mint is a dynamic yet simple accounting software with features that anyone can benefit from. Not only is it available for desktop download, but this money management app can be downloaded on iOS or Android cellphones, too. The Mint app makes keeping a budget and using accounting tools into a simple, welcoming process. Highlighted below are a few reasons why the Mint app was selected as a best budget app to consider in 2017. Mint makes it easy to improve your credit score while using the best budgeting software to improve your personal finances, too. Not only does the Mint app provide users with a comprehensive credit score, but this money management app will also provide tips on ways to improve overall credit. Users will also get tips on how to better manage their budget, maximize savings, and achieve their budget goals. One reason why the Mint app is steadily becoming a best budget app is because this simple accounting software makes it easy to combine a multitude of financial components into one piece of software. Instead of sifting through multiple accounting tools, this best budget app makes it easy to see a simple overview of your finances. Not only does this save time, but it also saves users from frustration, making this simple accounting software incredibly valuable. When it comes to finding the best budget app to manage your personal finances, it’s also important to find a money management app that will keep that sensitive information private and secure. One great advantage that the Mint app has is high levels of security to protect sensitive data. Intuit also makes TurboTax and uses the same high levels of security to protect users of the Mint money management app. Data is encrypted at a 256-bit encryption level, with all data inside the money management app protected with 128-bit SSL. A strong push toward strong encryption makes this one of the safest and best budgeting software to consider.It is important to note that this best budget app is also completely free. Many of the best financial apps offer similar features at a high price, while Mint provides simple accounting software free of charge. Moneydance is a great option for those who want a comprehensive money management app to handle more than simple online banking and bill payment. Aside from account management, budgeting, and investment tracking, Moneydance also handles multiple currencies. For those who need the best budget app for international banking, Moneydance is one of the best budgeting software options. Below are a few reasons why Moneydance is ranked and reviewed as a best budgeting software to consider in 2017. Moneydance has one of the most detailed dashboards that we have seen in a money management app. Where it excels is in the simplicity and accessibility that this best budgeting software retains, regardless of the amount of information displayed. The best financial apps will give users a complete picture of their finances, and with their intensive dashboard, Moneydance certainly fits the bill. 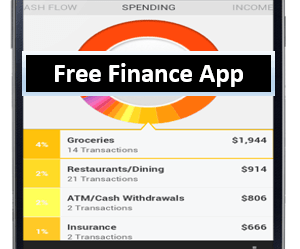 Many of the best financial apps use brightly colored graphs and charts for clarity, and Moneydance is no different. Users can see their income and expenses translated into pie charts and bar graphs, making it easy to see trends and diversions. As an additional benefit, pop-up balloons appear on each piece of data, offering further explanation. Even for those who are not mathematically inclined, the Moneydance visual aids provide a great way to simplify the process of managing personal finances. The full personal accounting software from Moneydance will cost you $49.99, which may seem pricey stacked up against free best financial apps. What sets Infinite Kind, creator of Moneydance, apart from the rest is that they offer a full 90-day money back guarantee. While a money-back guarantee demonstrates security for the consumer, it also represents faith in the product. 90 days is a long time to hold onto a money management app, but Infinite Kind has enough faith in their product to offer a lengthy guarantee. One of the most widely recognized personal accounting tools, Quicken is one of the best budgeting software options to consider this year. In fact, Quicken has been a household money management app since the early days of Windows. As technology within the best budgeting software advances, so does Quicken. Constant improvements in functionality have allowed Quicken to retain its place as one of the top-rated best financial planning softwares. Below are a few reasons why Quicken is ranked and reviewed as a best budgeting software to consider in 2017. Although this best budget app does not have a free version, it does have three versions to meet a wide range of user needs. Currently, Quicken is offering discounted prices for their personal accounting software: the Starter Edition is $29.99, the Deluxe Edition is $64.99, and the Premier is $99.99. With a range of simple accounting software for various household or business needs, Quicken offers valuable accounting tools for every user. One great feature of Quicken is that it allows users to separate business and personal spending. For small business owners, or for property owners, this is a crucial feature. These financial tools make Quicken an ideal money management app for small business owners, particulary for those who own and lease property. 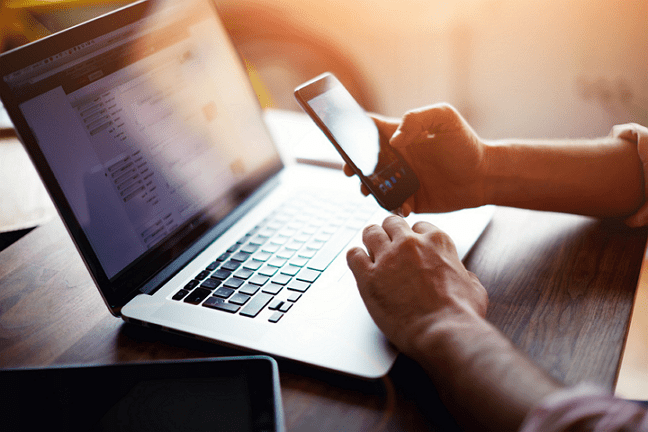 With the prevalence of smartphones and a demand for immediate information, it goes without saying that the best budgeting software needs to include a mobile app. The Quicken app is available for both iOS and Android, and it allows users to constantly be connected to their finances. For those who are constantly traveling, having the Quicken money management app is a great way to stay on top of finances while on the go. From humble beginnings, YNAB has flourished into a successful, dynamic money management app. In fact, this best budget app is constantly praised by financial experts and users alike, creating a strong reputation for this best budgeting software. With a passionate focus on making budgeting attainable and accessible, YNAB is a best budget app to consider using this year. Below are a few reasons why YNAB is ranked and reviewed as a best budgeting software to consider in 2017. YNAB is dedicated to making sure that you succeed, and their website offers plenty of valuable resources to support newcomers to the budgeting world. Free workshops are available for those who are interested in learning budgeting tips and tricks from others who have gone through the process themselves. Each workshop is in an online, group setting, and focuses on practical, hands-on learning. Classes are designed to be interactive, allowing for live questions and direct interaction. For those who are new to the budgeting world, an online class is a great way to understand the value and techniques involved in using a money management app. 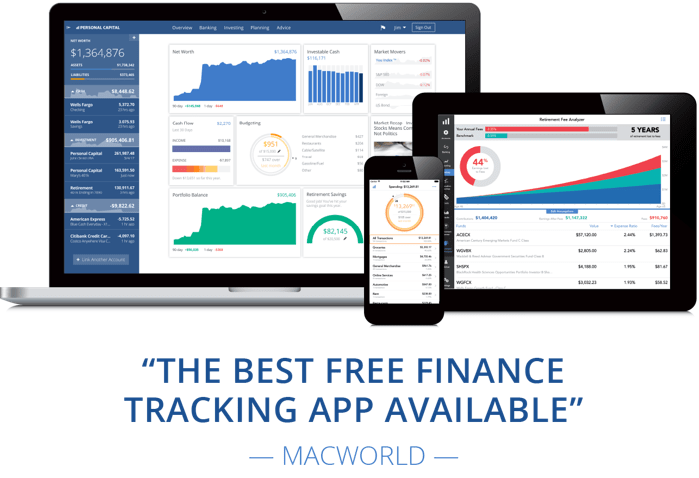 This best budget app allows for the financial dashboard to be accessed from multiple devices, including iOS and Android. For couples who are sharing financial goals and accounts, this is a huge benefit. Being able to constantly access updated data is a crucial part of managing a successful budget. With the YNAB money management app, users can easily view spending categories, track their budget, and see any areas of opportunity in real time. For those who are looking to use the best financial apps to help pay down their debt, YNAB is a best budget app to consider. 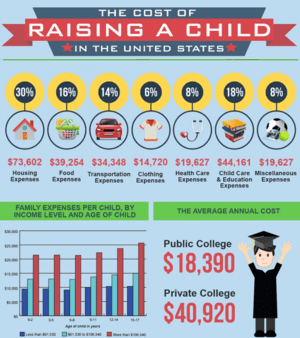 The financial tools included in this best budgeting software are designed to create sensible goals to save money with the aim of paying down debt. Users can create debt payoff goals and begin putting money aside toward those goals. YNAB will send alerts on how much has been put aside, how much is remaining, and an estimated time to payoff. As a best budget app, YNAB is designed to help you gain complete control of your finances through debt payoff tools. The various types of budgeting software available today are more advanced and user-friendly than ever, allowing you to monitor all aspects of your financial life through nearly any electronic device. Using the best budgeting software can take the guesswork out of your finances, provide you with greater clarity and control, and help you save huge amounts of time. This article is designed to present a high-level overview and a review of our selected top financial planning software options. Rather than a comprehensive review, it is meant to kick-start your own research in finding the best financial planning software that will meet your needs. 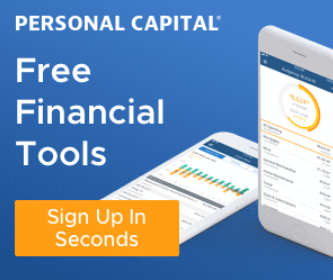 Click Here to Check Out Personal Capital’s Free Financial Tools! Reasonable efforts have been made by AdvisoryHQ to present accurate information, however all info is presented without warranty. Review AdvisoryHQ’s Terms for details. Also review each firm’s site for the most updated data, rates and info. Note: Firms and products, including the one(s) reviewed above, may be AdvisoryHQ's affiliates. Click to view AdvisoryHQ's advertiser disclosures. 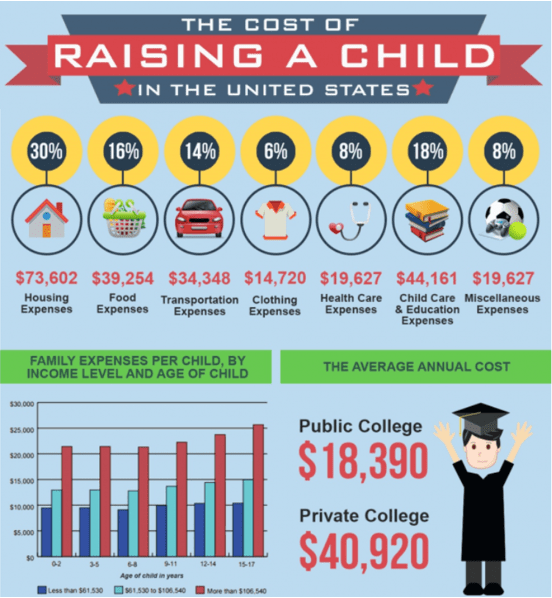 How Much Does it Cost to Raise a Child from Birth to Age 18?